Hallandale Movers knows that when it comes to your business, time is money. This is why our specialized commercial moving service allows our clients to move more efficiently and return to their new work location quickly. Our professional commercial moving team will examine your current location to determine moving logistics, eliminating as much downtime as possible. As relocating your business is even more stressful than any residential move, our team is experienced in creating less down time for employees, with expert preparation prior to the move. With the ability to move your business within hours, Hallandale Moving offers night and weekend scheduling for after business hour moving, so you don.t even have to close the office. 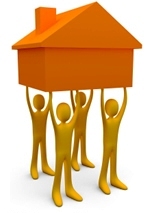 Hallandale Movers will always provide the service customized to your needs and budget. So contact us today and take advantage of our free on-site estimate service for a guaranteed quote in writing.